Is this what the future of transactions looks like? What is money, exactly? How does it work, and how is it supposed to work? It’s a question all of us have asked since we were handed our first dime. But the emergence of cryptocurrency and blockchain technology has pushed that question not just into the headlines, but into boardrooms and high government offices the world over. Since McGuffin’s work is tied so deeply to the financial services and technology sector, we wanted a deeper look at this new transactional realm. So we reached out to Dr. Lamont Black, Assistant Professor of Finance in the Driehaus College of Business at DePaul University, and asked him to share his expertise with us and our clients at a McGuffin Mornings event. Our first takeaway from this illuminating discussion: Bitcoin and blockchain are not one-and-the-same. Bitcoin is, of course, an emerging currency but blockchain is the underlying but distinct technology that enables it to transfer value securely and accurately. Let’s start by looking at Bitcoin. Bitcoin: what kind of currency is this? Bitcoin is cash — “cash that can function on the internet,” according to Dr. Black. Although people are currently treating it a lot like a stock or bond, Bitcoin was created to pay for things. Dr. Black says Bitcoin and other digital currencies are part of the long evolution of money — which has morphed from gold coins to paper and now to cryptocurrency. Once upon a time, and for many centuries, those gold coins were literally worth their weight in gold. Even after paper currency was introduced, it was backed by gold. 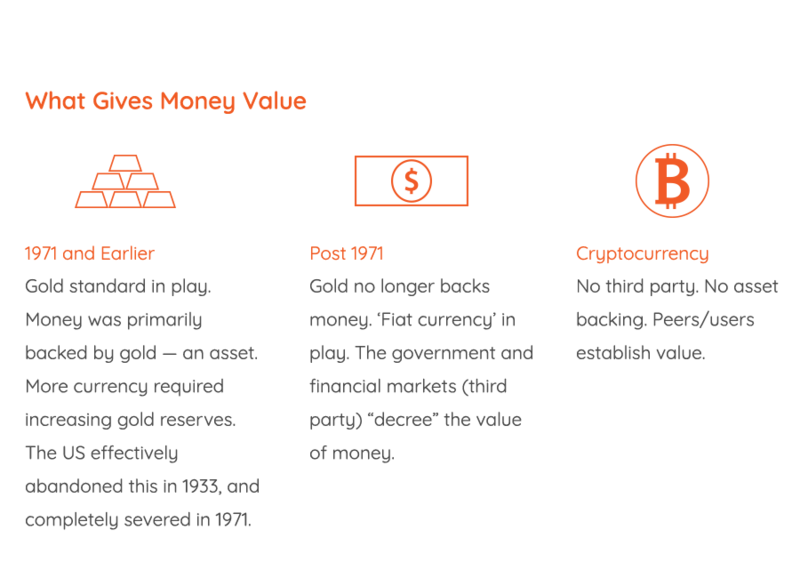 But since the 1970s when the gold standard was abandoned, the US dollar has been a fiat currency — a currency that has no fundamental value, except that which is decreed by the issuer and then the financial markets. “There’s nothing about ink and wood pulp that gives paper currency monetary value,” Dr. Black says. Instead, Dr. Black explains, it’s government and market backing that brings value to the dollar and other fiat currencies of today. That radical transformation — from asset-backed currency to fiat currency — is being followed by an equally radical shift toward a cashless society. Dr. Black cites Epic Burger, which no longer accepts physical currency at its stores. So, is it so strange that a novel means of payment would arise from and for the internet? Digital cash that cuts out the middleman. Through cryptocurrency, “we are witnessing cash that is native to the internet,” Dr. Black says, enabling true peer-to-peer payments. Bitcoin was born with publication of the anonymously written 2008 Satoshi Nakamoto white paper, Bitcoin: A peer-to-peer electronic cash system. In their first sentence, the Nakamoto authors spell out the problem that cryptocurrency solves. “Commerce on the Internet has come to rely almost exclusively on financial institutions serving as trusted third parties to process electronic payments.” Dr. Black points out that while a P2P payment service like Paypal still links to financial institutions, Bitcoin was created to disrupt by enabling digital cash transactions that circumvent the financial system entirely. In terms of market performance and public acceptance, Bitcoin had its biggest year in 2017, followed by a perhaps predictable decline and periods of volatility so far in 2018. Along with cryptocurrency’s performance, its public image has certainly transited some peaks and valleys. Pundits like Bill Gates, Warren Buffett and Jamie Dimon have stated their dislike for cryptocurrency in no uncertain terms. This doesn’t trouble Dr. Black. He expects cryptocurrency to become less a tool for speculation and more of a common digital payment tool as the market matures. And he’s especially bullish on the technology that underlies Bitcoin and that is increasingly finding its way into a variety of other applications and industries: Blockchain. Blockchain and Bitcoin were born together in the 2008 Satoshi Nakamoto white paper. As a system that provides cryptographic proof of a peer-to-peer transaction, Blockchain enables many types of cryptocurrency — providing a permanent, inalterable, public and traceable record of cryptocurrency’s movement. And as a distributed record, blockchain is unique in its degree of security. Yet, for that very reason, it’s attracted attention far from the cryptocurrency community. The following chart from Gartner shows the disparate and numerous uses for blockchain among industries. As for banking and payments, despite JPMorgan Chase CEO Jamie Dimon’s criticism of cryptocurrency itself, Dr. Black points out (and the business press agree) that pretty much every major financial institution is adopting some form of blockchain technology to improve their transactions. The fact is, if cryptocurrency isn’t yet changing the way we pay, the technology underlying it is starting to make its mark in all sorts of other data and information we share with one another. Maybe, as blockchain becomes familiar and accepted in other applications, it will prove to be a door opener for wider acceptance of Bitcoin and some proof that there’s security and stability behind a payment system that arrived promising to throw “the man” out of our monetary system. 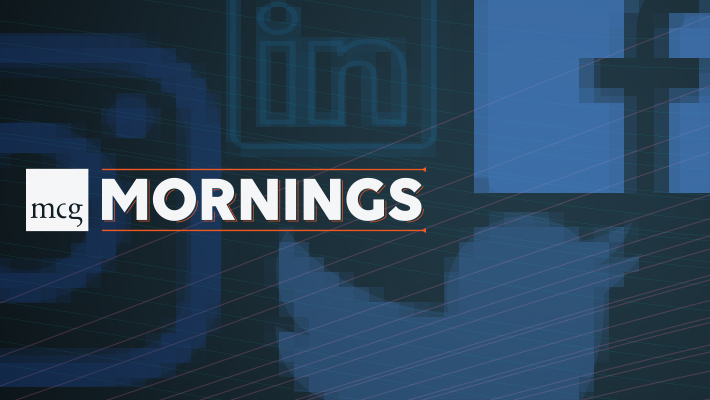 McGuffin Mornings is a quarterly breakfast series hosted by McGuffin Creative Group in downtown Chicago. 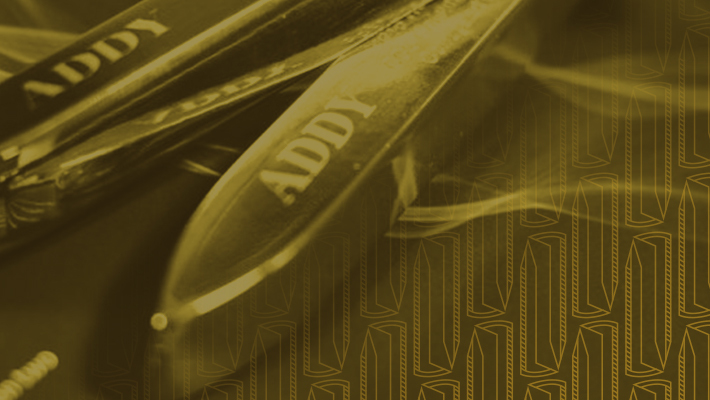 Covering topics focused on trends and insights in marketing, advertising and creative, it serves as a forum for savvy marketers to connect and sharpen skills in our rapidly changing industry. 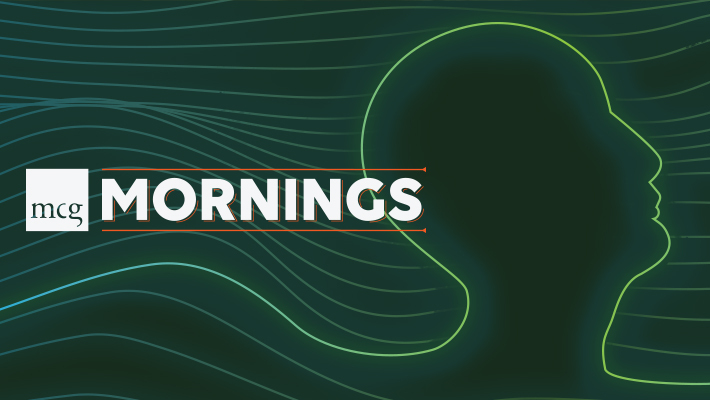 If you’d like to know about future McGuffin Mornings events, you can sign up right here. We’d love to see you there. Subscribe to get writings from McGuffin Minds right to your inbox. How disruptors empower seismic business shifts. Finding advertising excellence in unfamiliar places. Leveraging the psychology of social media to your advantage.